Information flow processing applications need to process a huge volume of continuous data streams. They are pushing traditional database, data warehousing and data mining technologies beyond their limits due to their massively increasing data volumes and demands for real-time processing. This chapter gives an overview of query processing in data stream management systems (DSMS) and the most influential academic prototypes, as well as available commercial products. 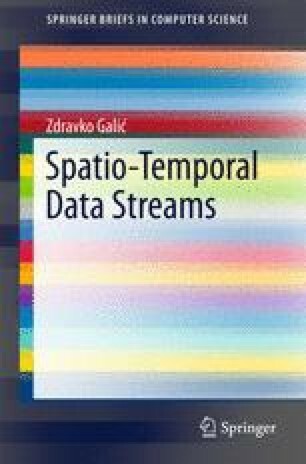 Furthermore, this chapter also provides an outline of the basic concepts of spatio-temporal knowledge discovery from data streams, including a list of relevant data stream mining academic prototypes and commercial products.